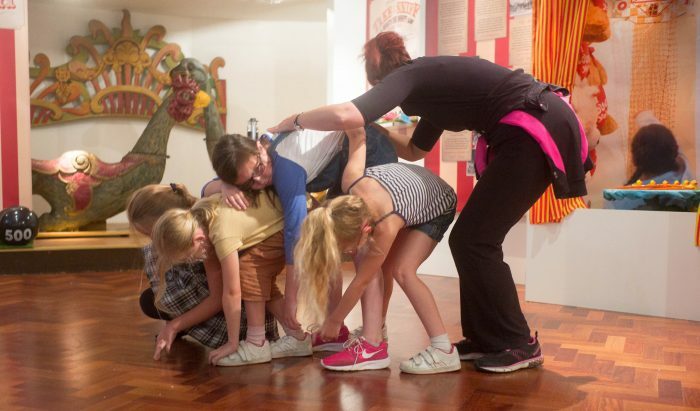 The National Lottery has breathed life into a project which will bring Hertfordshire youths together through history and dance in the County’s museums. Museums in Motion is a series of unique events, exploring museum collections and artefacts through performing arts and film technology. Targeted at selected groups of youths, from ages 8 to 25, across Hertfordshire towns, Museums in Motion encourages participants to broaden their understanding of their local heritage, while channelling their creativity. Thanks to money raised by National Lottery players, Museums in Motion has been awarded a £58,000 grant from the Heritage Lottery Fund (HLF). Under the artistic direction of dedicated dance agency BEEE Creative and international award-winning makeAMPLIFY, Museums in Motion will run from October 2017 to September 2019 in a series of six, three-day courses. Over the three days, participants will explore different themes, such as mobile technology heritage, through dance and performing arts. The event will culminate in a six-week film installation at each location, presenting the young people’s interpretation of heritage, and documenting their creative journey. Additionally, twelve young people will have the opportunity to go onto a one-year youth leadership programme, providing them with an exciting pathway to become curators in the future. The young people will shadow, and be mentored, by representatives from each museum, and will contribute to the creativity of curating future events. Museums in Motion will take place in Watford, St Albans, Stevenage, North Herts, Royston and British Schools museums from October. Emma Scott PR on behalf of BEEE Creative.